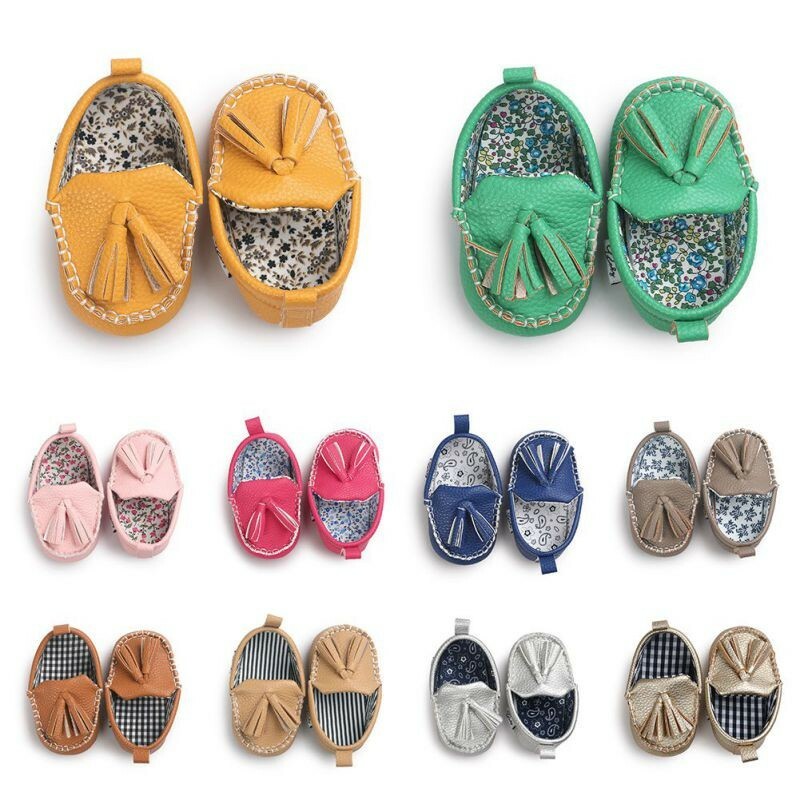 From playdates to weddings, elevate your child's outfit with these wonderfully stylish Bow Moccs with an earthy feel. Sweet for special occasions and comfortably casual enough to be worn all day, these soft suede baby shoes detailed with a classic bow are a baby wardrobe must-have. Soft soles intended for indoor use and light outdoor activity. Great for crib shoes and pre-walkers! Absolutely loved these shoes! They are so adorable and great quality. These are great! Well made and fast shipping! The bow moccasins are one of my favorite styles! I got the pink and they are adorable! So cute and the seem to be well made. We love these shoes! They are so cute! The only downfall with this company is that they ship from China, so it takes a while (2-3wks) and is very difficult to track. But we love the quality and style of LW shoes that its worth it for us! I love this company! The shoes are well made and very convenient for little feet. My daughter likes their softness and I like their durability. Perfect for new walkers.